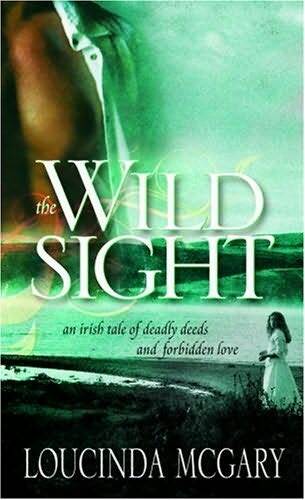 I love books set in Ireland, especially Irish romances, so I was eager to read this one. It's about an Irish man who has spent most of his life in America escaping his past, only to return to Ireland and find the past catching up to him. Donovan has "the sight" which allows him to travel back in time and also to witness events of the past just by being near certain objects. When visiting his father, who's had a stroke, he meets a woman named Riley who claims to be his half-sister. Of course we, the readers, know that can't be true because Riley is his love interest. I enjoyed this book for the most part. I liked that it was set in Northern Ireland, where most Irish books I read tend to be set in the south. In particular I liked the descriptions of the countryside, their visits to Belfast and the Giant's Causeway. It was also fast-paced with lots of twists and turns thrown in. However, there were a few things that really annoyed me. I couldn't stand the main character, Riley. She is basically described as a blonde California princess, and every male character instantly falls in love with her. Barf. This would have been more acceptable if she wasn't such a wimp, but she's constantly "squeaking" and "wimpering," which really grated on me. And she was described as a "wee golden thing" so many times I wanted to plant her in the garden like a carrot, upside-down. Also, I found it really annoying that in the middle of something exciting or some dire situation, the main characters would always be dropping or fumbling for something. It really broke up the action in a frustrating way. (I can't stand when they do this in movies, either). Overall, though, this wasn't bad. I'd probably read another book by this author and hope it had a better heroine.